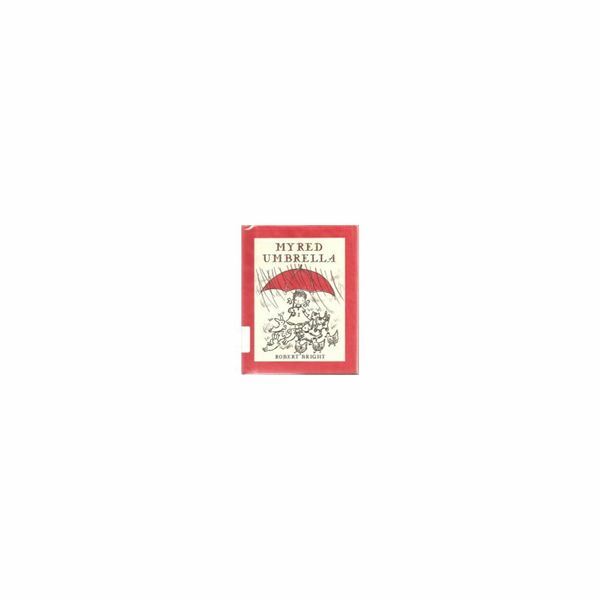 Preschool Rain Theme: Using "My Red Umbrella"
This book by Robert Bright might be considered a classic and one that would be great as the anchor for your themed project. This book is about a girl who felt that it might rain and set out for a walk with her umbrella. She was not disappointed by her forethought, but what happens next may be very interesting to the preschool children you read to. They might find this book funny or even enlightening. They are sure to enjoy it thoroughly, as they themselves learn about the place rain has in our lives. "I love this darling little book. A little girl goes out with her red umbrella just in case it rains. It does rain and she puts up her umbrella, which is very small and just the right size for her. On each page, however, she is joined by newcomers seeking shelter from the rain: a little dog, some kittens, some rabbits, a lamb, etc. It’s fun to watch the umbrella magically grow on each page until it’s huge and big enough to shelter the little girl and the entire menagerie including a great big bear!The simple illustrations and text are perfect for the very young. I think this book has been out of print for way too long – time to bring it back, and while the little edition is just right for lap cuddles, a nice big format would be better for reading to groups." If you are thinking of doing a class project on rain and its place in our world. Think about getting this book for your themed project. But, you are welcome to get another one of your choice if you feel that it would be better suited for your students. Have the children draw a girl or boy on a piece of paper, then have them cut out the red umbrella top with red construction paper. They can glue this red umbrella top onto the paper or the umbrella holder. For the rain, they can use blue dots cut outs and glue them as if they are falling on their character’s umbrella. Using a large piece of poster board, paste several colored umbrellas onto the board. Hand a child the match to those that are the poster board and have them match them up. Sing songs like, "The Itsy Bitsy Spider" or "Rain, Rain go Away"
Print this coloring page and have the children color it in. Have the children bring their own rain gear for this activity, such as; rain boots, coats, hats, etc. Play music that has raindrops or a have rain background music. Dim the lights and explain to the children that it has started to rain and they must wear their raingear. Have them stomp in pretend puddles and stoop as if they are getting wet. Later, have them each name their gear and talk about why they like the piece that they have chosen to bring that day. Briefly talk about the rain cycle, but in very short terms due to the age group. Have a discussion on what they think the animals and insects go for cover when it rains. If you are aware of only light showers the day of the theme, plan on having the children walk outside after the shower and take a look at the drenched leaves. They can look for places that the animals and insects might hide like on tree branches or in bushes. They can look at a small puddle of water that accumulated during the slight shower. Overall, children love the rain and are quite fascinated in knowing more about it. They are willing to participate in activities that will teach while they play and learn about umbrellas or rain. You can purchase the book, "My Red Umbrella" here on Amazon.com. Find a rain theme and fun preschool activities about the rain! A Fun Preschool Rain Theme Using, "My Red Umbrella"